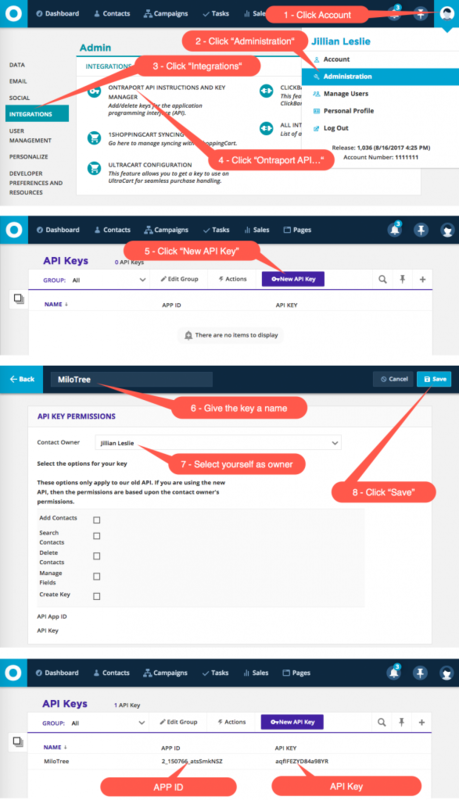 Click “ONTRAPORT API Instructions and Key Manager” in the Admin Integrations section of the page. You can now copy and paste your APP ID and API Key into the MiloTree window, and click “Connect” to finish linking your account. MiloTree offers email support, and live chat support to all of our customers. Please email support@milotree.com if you have any questions or concerns. We’re here to help.